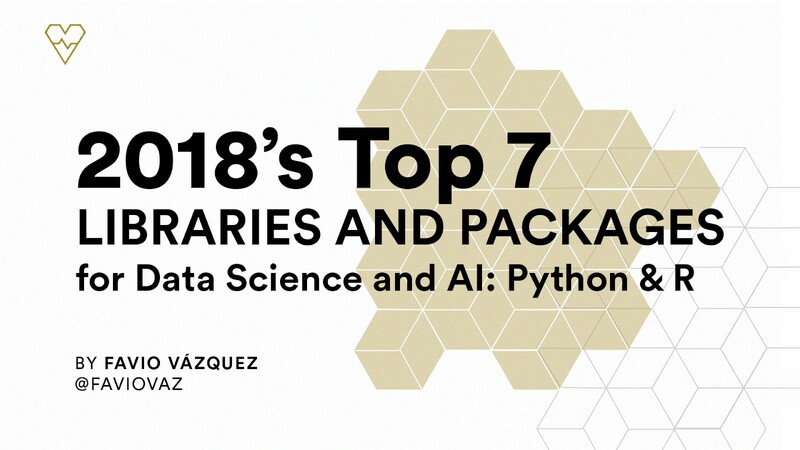 Editor's note: This post covers Favio's selections for the top 7 Python libraries of 2018. Tomorrow's post will cover his top 7 R packages of the year. 7. 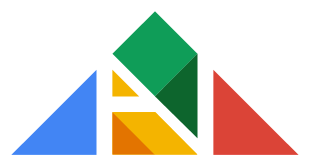 AdaNet — Fast and flexible AutoML with learning guarantees. AdaNet is a lightweight and scalable TensorFlow AutoML framework for training and deploying adaptive neural networks using the AdaNet algorithm [Cortes et al. ICML 2017]. AdaNet combines several learned subnetworks in order to mitigate the complexity inherent in designing effective neural networks. This package will help you selecting optimal neural network architectures, implementing an adaptive algorithm for learning a neural architecture as an ensemble of subnetworks. You will need to know TensorFlow to use the package because it implements a TensorFlow Estimator, but this will help you simplify your machine learning programming by encapsulating training and also evaluation, prediction and export for serving. You can build an ensemble of neural networks, and the library will help you optimize an objective that balances the trade-offs between the ensemble’s performance on the training set and its ability to generalize to unseen data. To install from source, you’ll first need to install bazel following their installation instructions. Once you have verified that everything works well, install adanet as a pip package . You’re now ready to experiment with adanet. 6. 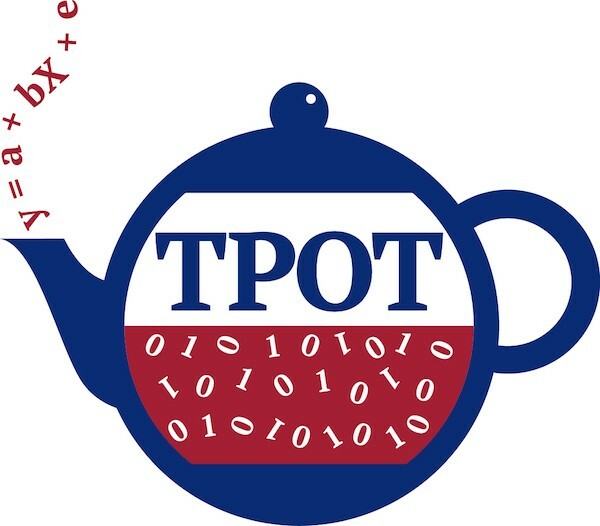 TPOT— An automated Python machine learning tool that optimizes machine learning pipelines using genetic programming. Previously I talked about Auto-Keras, a great library for AutoML in the Pythonic world. Well, I have another very interesting tool for that. The name is TPOT (Tree-based Pipeline Optimization Tool), and it’s an amazing library. It’s basically a Python automated machine learning tool that optimizes machine learning pipelines using genetic programming. TPOT can automate a lot of stuff like feature selection, model selection, feature construction, and much more. Luckily, if you’re a Python machine learner, TPOT is built on top of Scikit-learn, so all of the code it generates should look familiar. What it does is automate the most tedious parts of machine learning by intelligently exploring thousands of possible pipelines to find the best one for your data, and then it provides you with the Python code for the best pipeline it found so you can tinker with the pipeline from there. And that’s it. You built a classifier for the Iris dataset in a simple but powerful way. Super easy and fun. Check them out! Try it and please give them a star! Explaining machine learning models isn’t always easy. Yet it’s so important for a range of business applications. Luckily, there are some great libraries that help us with this task. In many applications, we need to know, understand, or prove how input variables are used in the model, and how they impact final model predictions. There are tons of different models and ways to use the package. Here, I’ll take one example from the DeepExplainer.